Very nice location on the more quiet part of the island. The sunsets on the beach are beautiful and when snorkelling on the reef we saw sea turtles!!! The hostess and owner are really nice and they run the place with a keen eye to the environment. The other staff were the nicest we had on our whole trip. Best team ever! "We loved it so much we stayed one week longer!" What a wonderful place and location! 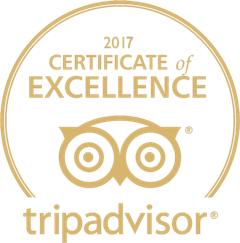 The place is spotless and well run which is a great credit to the manager and the way she organises and manages here brilliant team. Great location on the beach to the North side of the island. The staff helped in so many ways with our travel plans, extending our visa's and various trips to Lombok. Don't hesitate - book it now, you won't be disappointed! Great place to relax and enjoy what the island offers. 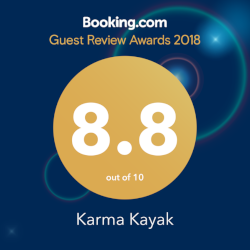 Karma Kayak is run by genuine people who care about looking after customers and the environment. It is right on the beach, on the north side of the island which is by far the best location for amazing sunsets and beaches. Great food, wonderful bungalows with beautifully kept gardens to give you that truly tropical feel. Only 10 mind to the main town and nightlife but feels like it is a world away. Don't expect TV's in your rooms and if you do, why you going to Gili Trawangan? There is more than enough to see and do anyway. All in all the perfect get away....Thank you all for your wonderful hospitality and can't wait to come back!